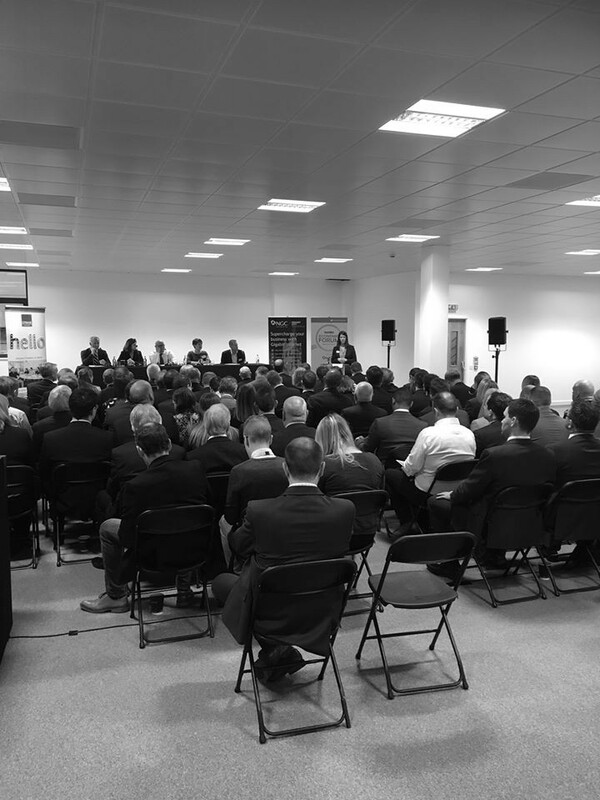 The recently opened Citibase Wakefield was proud to host over 100 members of the City’s business community at the prestigious Insider: Wakefield Economic Forum Breakfast 2017 on Wednesday 15th November. Held in conjunction with Insider, Wakefield Council and NGC Networks, attendees took part in a debate with an expert panel including Peter Box, leader of Wakefield Metropolitan District Council and Gareth Watson, Commercial Development Manager for Citibase. Topics discussed included what do local businesses want the local council to focus on, what are the challenges and what need to be the priorities. Also what is the attraction of the City for businesses, is there good, flexible space for companies to base themselves in and the exciting plans to role out ultrafast full-fibre connectivity to Wakefield. Citibase knows only too well that digital connectivity is so key from an exclusive recent Citibase survey where 77% of those questioned in Yorkshire said high speed internet was the number one consideration when looking for a new office. Whilst 43% said they wanted flexible, short-term contracts. Hence why Citibase offers SMEs, entrepreneurs and start-ups super-fast broadband in its new Merchant Gate flexible officing hub, in a wide range of fully serviced space to suit all sizes, with no lengthy contracts to sign. After the debates and time for networking, many of the attendees also took the opportunity to have a guided tour of the brand new fully serviced office space on offer at Citibase Wakefield – for more information click here.